I really don’t know what I’m getting myself into… but you know what, if people are ever honest and open about their own lives, they would be more willing to admit the same thing — In life, seldom do we have all the answers staring at us right smack in our face. You just do the best you can, and keep at it. In my own case, no, right now I can’t say definitively that I’m going to end up purchasing an apartment unit in Manila (Bonifacio Global City), but I do have free time on my hands (hah! ), so it’s not like going down that rabbit hole trying to dig up more dirt is all that big a deal. Ultimately, if I don’t find exactly what it is that I’m looking for, I’ll back out and walk away. Anyway, I spent yesterday looking at more houses… and here’s what we got from Park West, located in Uptown. 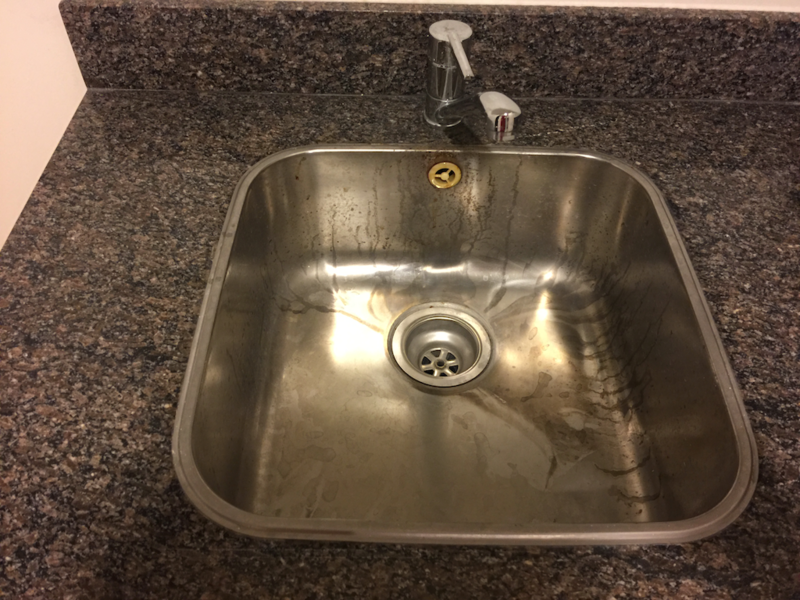 However, for BGC, this kitchen sink is better than most that I’ve seen (it’s deep). 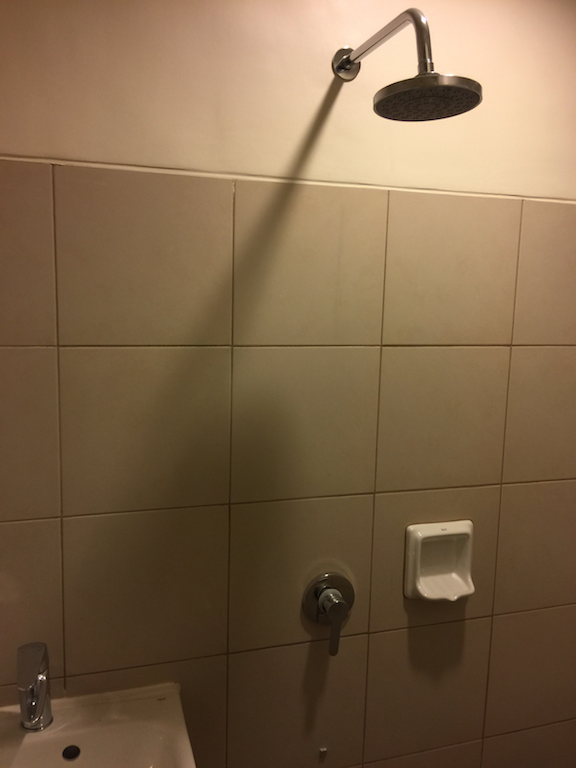 Again, another problem… The bathrooms just felt too cramped for me… and I’m not the Juggernaut! Master bedroom… Unfortunately, didn’t feel like a “master” in size… If you were to insert a full/queen sized bed, good luck fitting much else furniture (e.g. desk) in here. 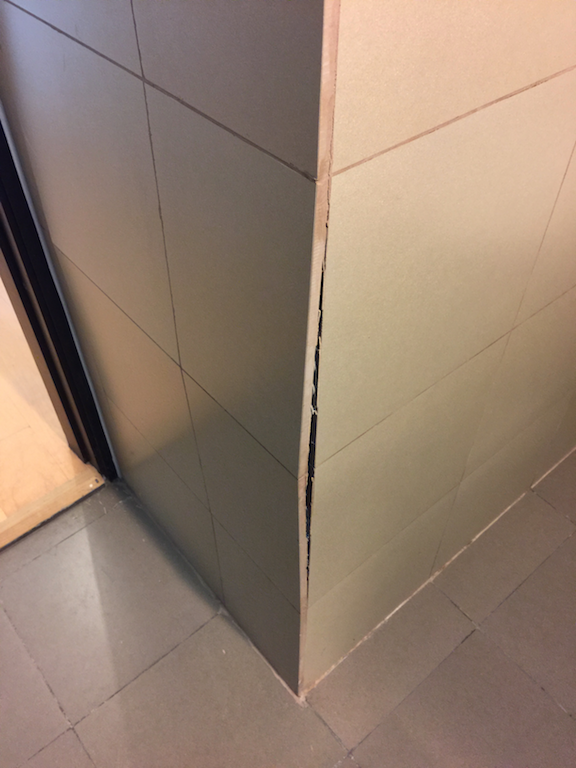 Build quality left a lot to be desired… even though this unit was a “re-sale” and the owner never lived in it nor rented it out. 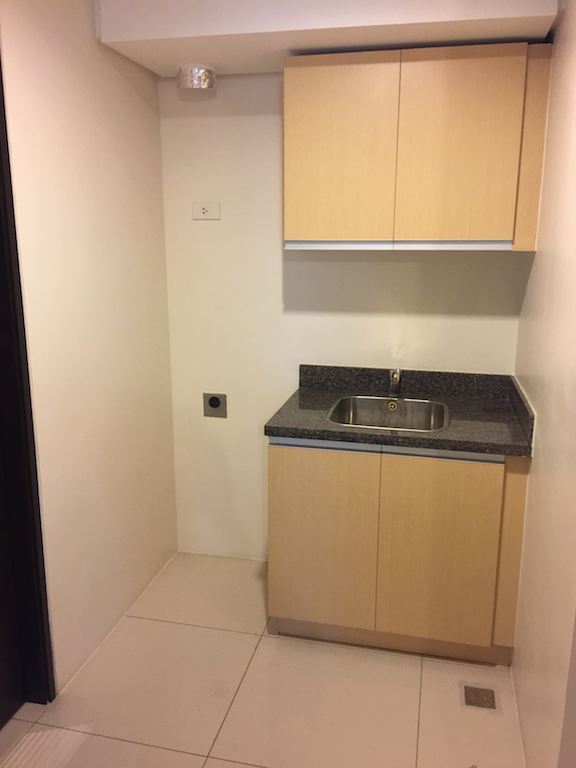 There’s also a utility room/maid’s quarter with a shower… Pretty standard fare around here for a 2 bedroom unit ~70 square meters. I very much welcome the idea of having a utility room (for laundry) but also the flexibility to convert the room into a “maid’s quarter”, or 3rd bedroom for guests. 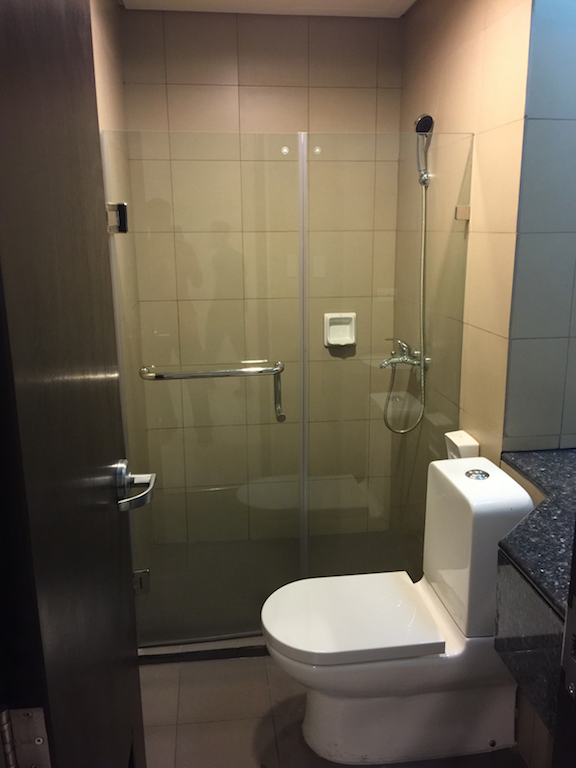 Even though the “3rd bathroom” is a little cramped, it’s still functional… and like, I mean for Hong Kong standards, it would be considered YUGE! 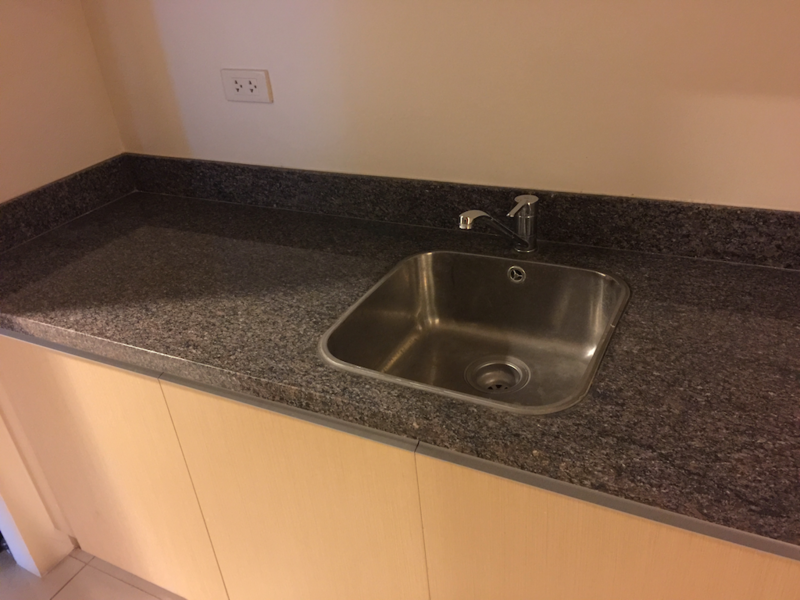 The second unit I toured had a more spacious kitchen layout… I actually liked this configuration a lot. 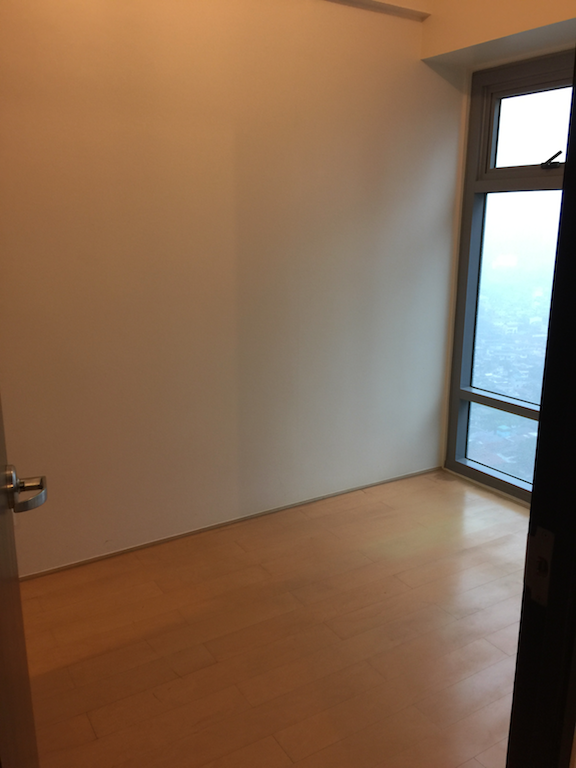 The view from this unit was better than the first one (I didn’t take any photographs), but obviously nothing like the photos I showed in previous posts from Burgos Circle, near the country club/golf course. Those pre-existing “low rise” structures you see in the above image are naturally strong candidates to be bought out and replaced in the future… Can’t put a timeframe on it, but the realtor didn’t think it was likely anything was going to change for at least another 1-2 years, at minimum. 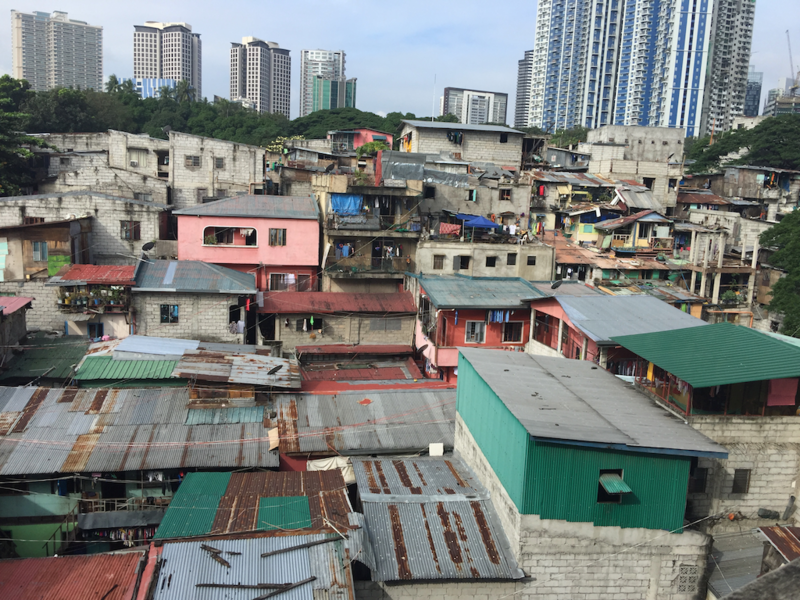 For readers/viewers who aren’t familiar with Manila and BGC, the image above is a good contrast of the different faces of Manila; there’s Manila (BGC) and “real Manila” (low rises), or “barangay” as my friends like to call it. We’ll try again today… Hopefully, something good comes up. And that’s the thing about buying a home for YOURSELF! 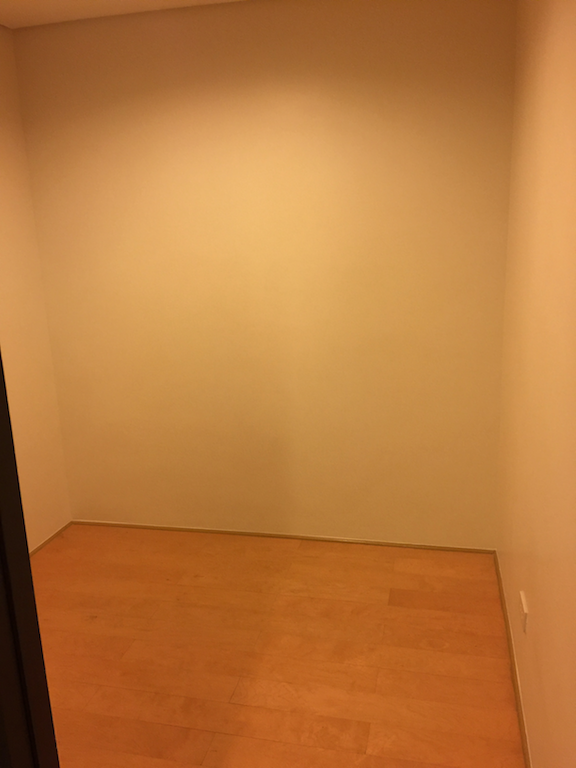 The mindset/mentality is totally different from purchasing an investment property… I mean, long-term, I think it would be ideal to find a unit that could satisfy both angles (personal residence and investment property/Airbnb unit), so I’m gonna try and be more patient and hold out for something that really fits the bill. Anyway, wish me luck… I will certainly need it! I hope you’re enjoying these “house hunting” updates… So far, I’ve gotten very supportive/positive feedback. As always, I really appreciate the kind words! Awesome update mate! I haven’t been checking you / your updates for a while now (mad busy). I will def donate the 20 bucks btw. Bear with me.. Thanks for the article. 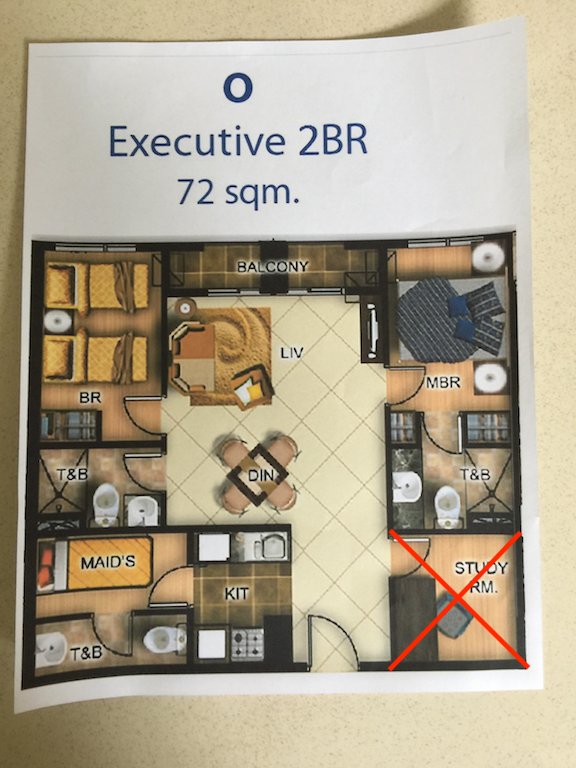 In terms of foreigners owning units, as mentioned in the article we are allowed to purchase apartment units, but cannot own actual land… Would need a Filipino spouse for that. I don’t really care to own land itself, since my only interest are to live in the city (i.e. 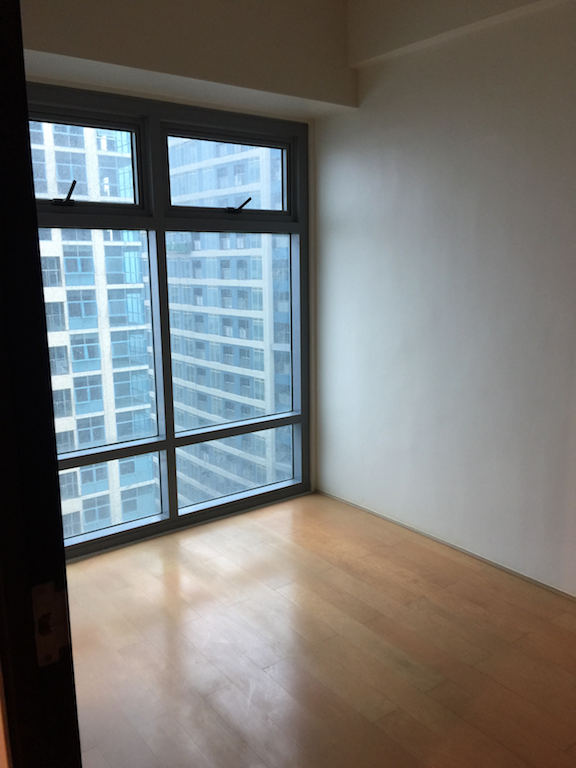 BGC)… As long as the location is good, it should have good resale value and appreciation potential. For owning land, I’m perfectly content with my Bay Area properties for that. 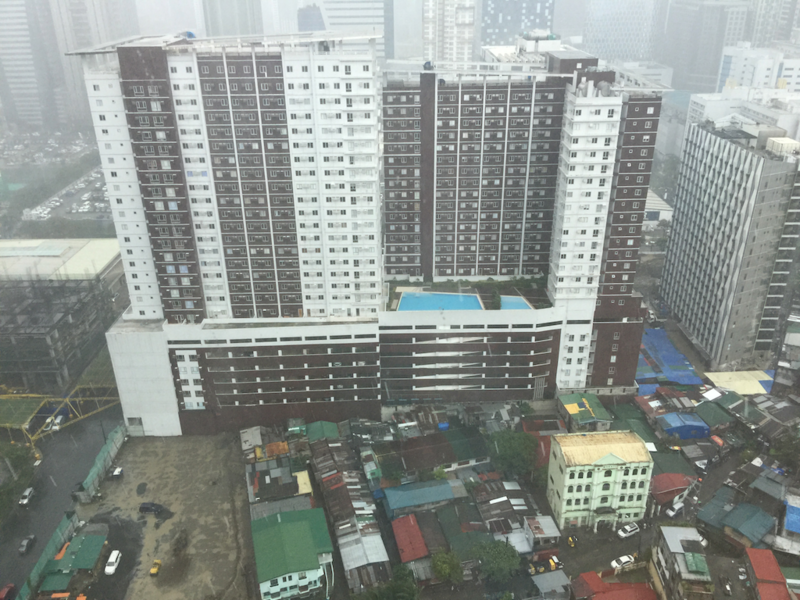 The 60/40 rule means that for any apartment building, 60% of total units must be owned by local Filipinos at a minimum and if foreign ownership reaches 40% of total units, then no more units can be bought. But for EACH individual unit, even as a foreigner, you would retain 100% ownership of that particular unit. In my own house hunting, this has been problematic in some development areas where they are essentially “sold out” and I can’t make an offer, even though a unit is available and listed for sale. I’m been living in Asia for 10 years, mostly in Malaysia and Thailand. Basically, there is a lot of “big money” to be moved around and one of the favorite ways to preserve their value while keeping them out of the bank system is to dump on building projects. As any investment games, there are losers and winners. In the case of real estate investing in Asia, the winners are those few elites that purchase 10,20,100 units even before the project starts. The losers are the people who buy a unit when the project is complete. Simply, the elite bought them at 20-30% discount market rate, so they can rent them out 20-30% cheaper than anyone else and still be profitable. Some of those guys need cash fast? They just dump 10 units on the market at 10% discount… and so on. Does it sound like market stock investing? Probably yes… Who gets in early make the money and who gets in last… well, we know the ending. Now, if you want (want, wish, dream of, crave) a condo to live in and make it your pamper place while you are happy to see its value declining because the building gets old and rusty, go for it. 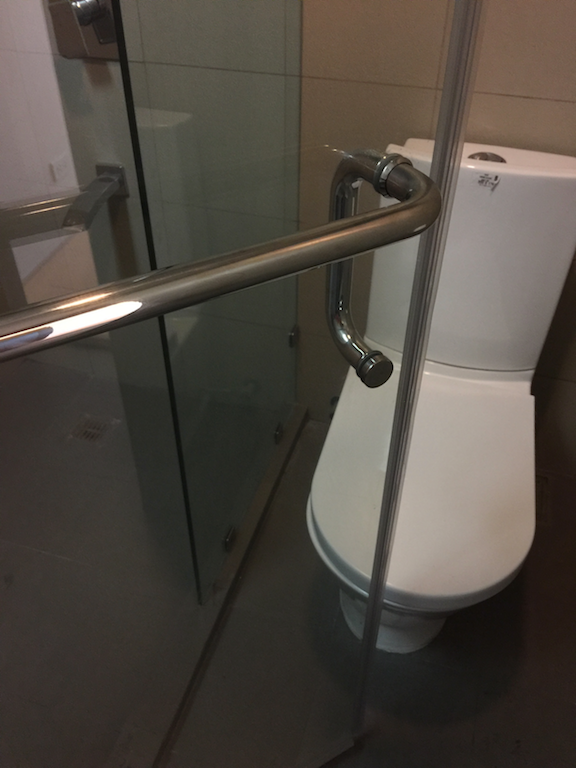 Alternatively, rent a condo and when the toilet breaks, call the owner. I hope it helps, real experience not fluff. Thanks for your honest content, I never miss one of your articles. In a way, if you get the right deal, you can have “instant equity” the day you close escrow… In my own case, I’m looking for a primary residence, so that’s less important, but hey, if possible of course I’m gonna gravitate towards that type of deal. With BGC, one nice thing going for it is a high growth rate, lots of companies moving in, and although a flood of inventory is coming online shortly, the city is pretty much tapped out and there’s not much room left for future expansion. Long-term, I think property values will hold firm and keep climbing up. BGC is especially cheap for what it is (modern, clean, safe) relative to valuations pretty much anywhere else in the world. Lots of things to keep in mind, and I’ll be sure to share as I learn more. 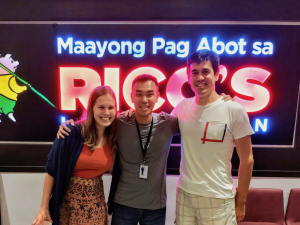 Thank you for sharing your house hunting experiences in Manila, definitely very informative. Just curious, what do you think of the the high inflation in Philippine? Also, how does it factor into your decision in setting up residence there? Not sure what the future holds, but as of current, the prices are relatively moderate compared to say what I would expect to pay in many other places, such as back home in the Bay Area. Thanks for the reply. I figure I would share my anecdotal observations, not sure if they would be useful to anyone though. 1) rents appears to be softening in the Bay Area, at least in the East Bay area. My rental manager reported that market rent is 5+% lower yoy, and he has data to back up his claims. 2) I paid $12.89 for a combo (an eye popping price for me) from Carl’s Jr. in Los Altos yesterday, and many Bay Area MickeyD’s have recruitment advertisements plastered on their windows. The one in Stanford Mall shows starting wage between $15 to $20/hr. Looks like inflation is definitely coming.